At the PROVIDENCE COMPANIES we offer our customers the convenience of Real Estate Purchasing, Leasing, Financing and Credit Reporting all under one roof. BUYERS: Nearly 1/2 the homes available for sale today are vacant, and many are Bank Owned Foreclosures with Sellers waiting for Buyers to take these homes off their hands. Qualified Buyers can close on these bargains in a few weeks! program, Full service for 1/2 price. Your home LISTED and SOLD for a total commission as low as 2.9%! RENTERS: Looking for a place to call home you DON'T have to buy? View our RENTALS at Executive Homes Homes for Lease. Fill out our Questionnaire here or call to receive new Rental Listings that fit your needs as they become available. No fees required. Help us find the perfect home for you! LANDLORDS: Looking for a Tenant? Qualified Tenants contact and register daily. If you're interested in participating in our Tenant Procurement, Management or Referral programs, tell us about your property here or call 262-658-9000 for information regarding programs and pricing. PROVIDENCE MORTGAGE: . We specialize in helping 1st time homebuyers, often with little or no money down and less than perfect credit, purchase the home of their dreams. PROVIDENCE CREDIT REPORTS: Designed for landlord/tenant screening, credit reports are used to help qualify potential Tenants and Buyers. 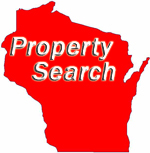 You'll find "Register to View" websites showing 100 to 300 homes in an area. This FREE link will show 1,000s in your desired area! Guaranteed! New Living Translation Bibles starting at $.88, only at BiblicaDirect.com.